Take a minute to examine your breakfast. What is the first thing you eat every morning? A bowl of sugary, processed cereals, a plateful of fat pancakes dribbling with oozy syrup, a bag of pastries hurriedly wolfed down on your way to work? Or maybe you opt for a healthier serving of homemade granola with fruit and yogurt, a fruit salad or some wholesome porridge. But have you ever tried a green monster? They look much scarier than they taste. In fact I love them, and haven’t looked back since trying them. They don’t even taste green (unless you add spirulina in your smoothie, but that’s for later). Green smoothies are green because some type of leafy greens have been blended into them, such as kale, spinach, or some other type of lettuce or cabbage. You could even add cucumber or celery if you really fancied it. Don’t be put off by the vibrant colour! Ever tried to make a kiwi smoothie? It turns green, too, but you don’t go “ewwwww” for all that, do you? 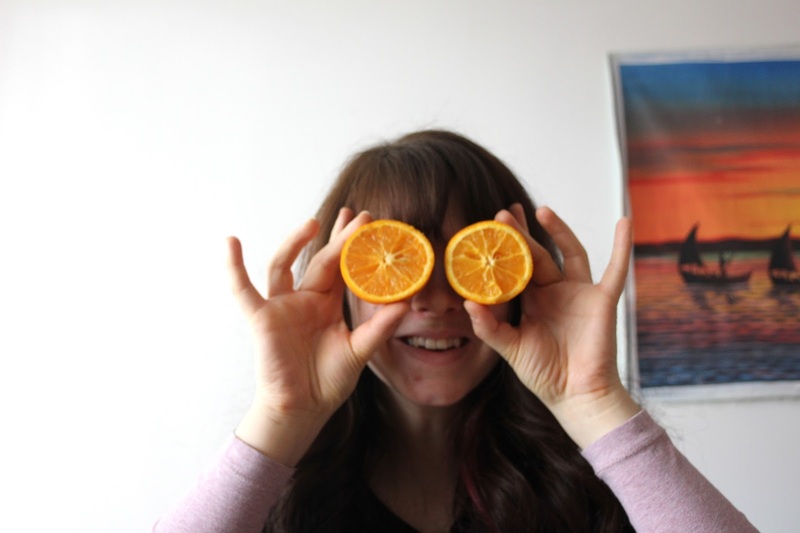 It’s all in the taste — the colour actually has little effect on the flavour. Because usually, these smoothies are MASSIVE. 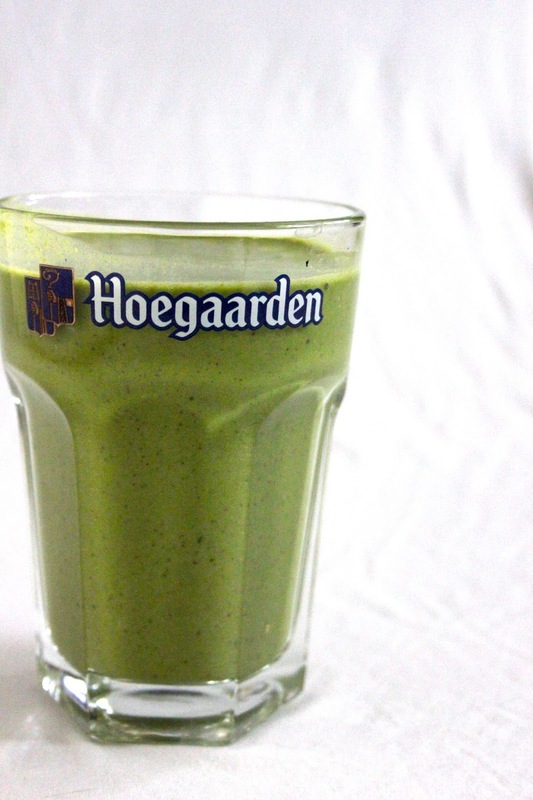 If you don’t want to drink a pint glass of green gloop every morning, that’s totally up to you. Half the recipe or share with a willing victim foodie. So how do we make a Green Monster? You can pick and choose your own flavour combinations. Add more or less water depending on how thick or thin you like your smoothie (I like mine the consistency of a really thick, creamy milkshake – it feels like having pudding for breakfast). * Freezing your fruit can add a frosty milkshake-like element to your smoothie. * Tofu isn’t technically a superfood, but it’s a fun ingredient to add. 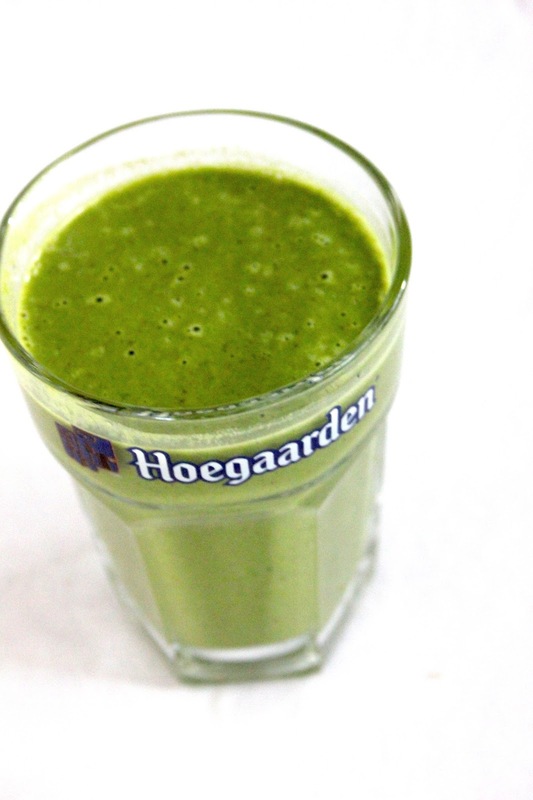 It makes your smoothie velvety smooth and adds protein. This is my all-time favourite! It may not have fruity flavours, but it is thick and creamy and packs quite a punch in the energy department. 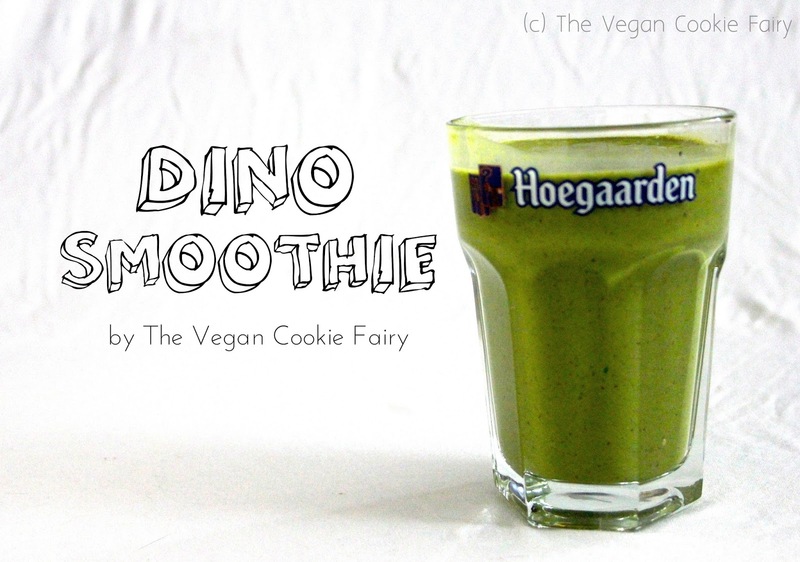 I call it my Dino Shake because I feel like roaring every time I drink it — it’s THAT good! Why it’s good: It contains a whopping 20.36g of protein, 13.92g of all-natural healthy fats, and an amazing 13.18g of fiber. Fiber is essential for healthy bowel movements and keeps you feeling full, unlike sugary processed cereals, which contain absolutely zero goodness for you. The protein will also keep you satiated, but more importantly it will aid in repairing muscles, which is very important if you exercise daily (and you should! It keeps you happy:) Finally, fats are key to keeping your skin supple and hydrated. Without natural, unsaturated fats our skin dries and gets wrinkly. Put everything in a blender and blitz till smooth, creamy perfection. Serve in a Belgian Beer pint glass for extra pizzazz. 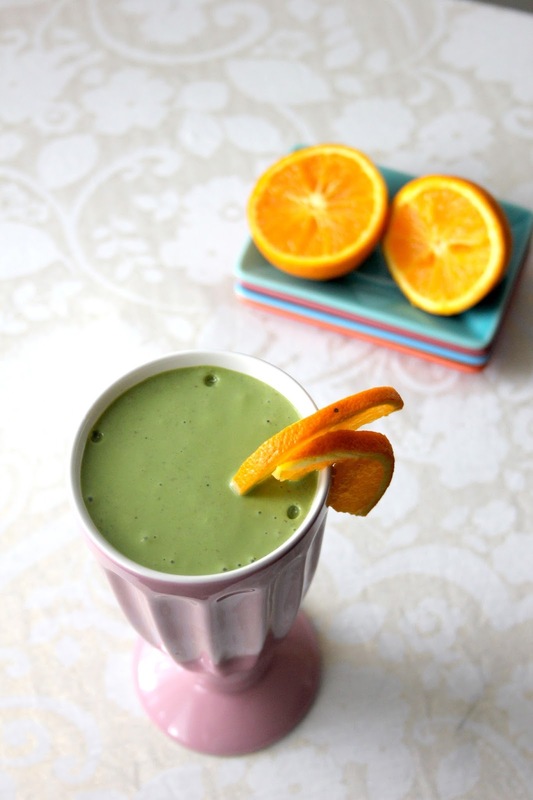 Next week, my Green Sunshine Smoothie – it’s guaranteed to keep you happy and radiant all day long! See you next week! 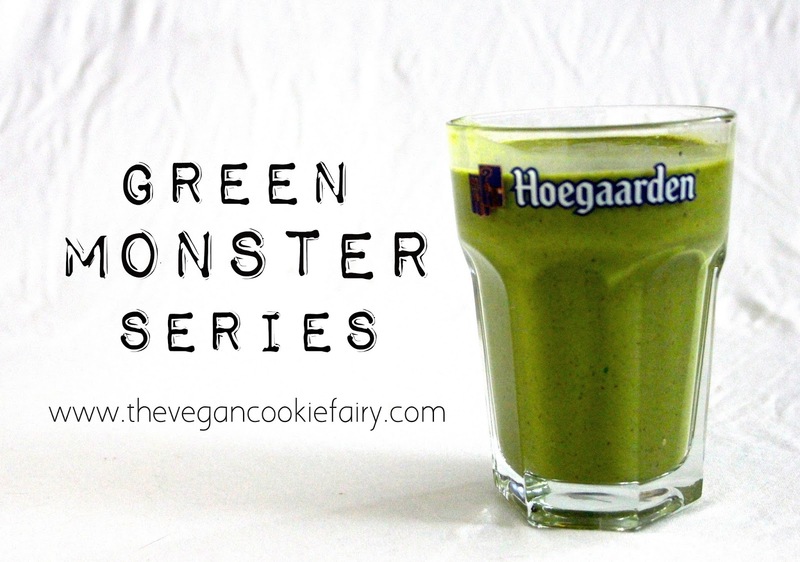 In the meantime, share your thoughts in the comments: have you ever made a green smoothie, or are you already well-practiced into the blending of green monsters? What’s your favourite combo? Looks great! 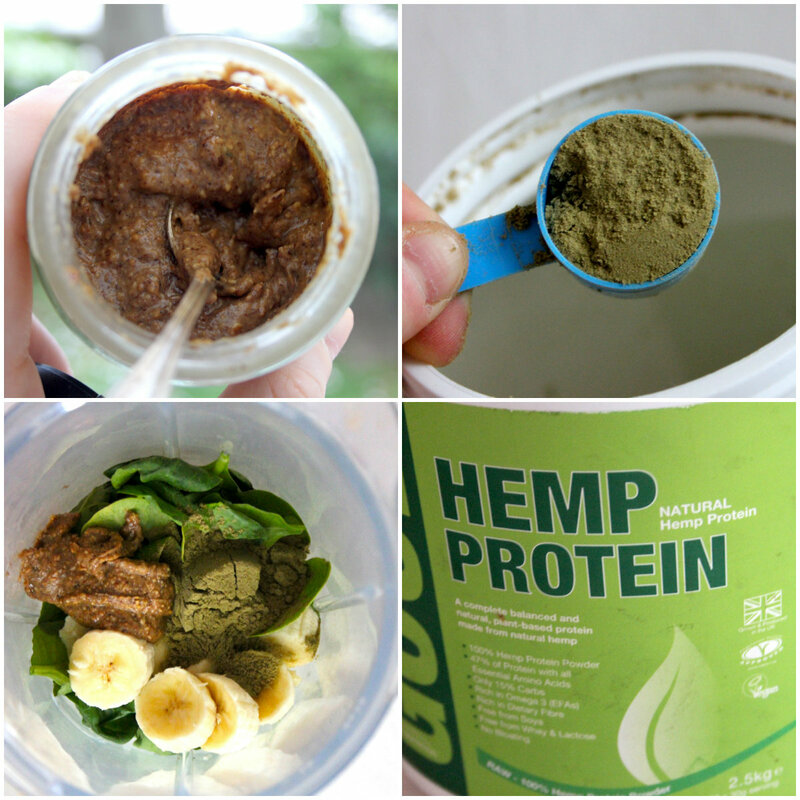 Where do you buy your Hemp protein? Great question! I got it from a protein powder shop on St Pancras Way, just opposite Camden Road Station. Not sure of the name of the shop, and I couldn't find it on Google. But you can buy Good protein powders from anywhere online. I've also heard that Vega protein is quite good, and they do various flavours, but have never tried it. Holland & Barrett also does quite a few vegan protein powders. You don't absolutely need a protein powder, btw, but I think it's just nice to have around if you want to play with textures, flavours and nutrition content. And sometimes it's just handy. My tip is go for as raw and natural as possible, but if you can, get a flavoured protein powder.